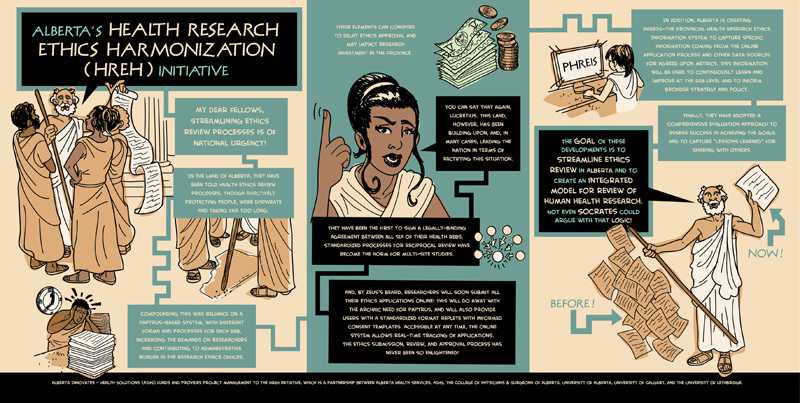 This info-graphic was created to better explain the HREH (Health Research Ethics Haromonization) initiative. An initiative that's goal is to streamline ethics review in Alberta. The client wanted an ancient greek style design/illustration that brought to mind early Greek philosophers. We went for a fun/loose style that felt contemporary, yet referenced greek motifs and pottery.